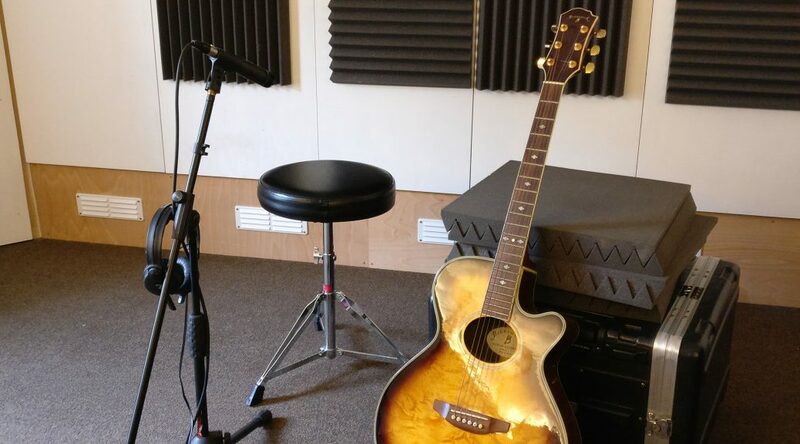 Following on from Start to finish song production – Primaluce by Lloyd Jenkins this is about another slightly different type of project for a different songwritter. Scott has his own recording set up and lives bloody miles away, these tracks are ones sent to me to give the tracks a bit of a lift (melodyne, slip editing, etc…) and to create a polished mix. Scott is a talented song writer and guitarist / bass player and has been working on an album for some time. I’ve mixed a number of these tracks for him. So far these tracks have just been instrumentals, but he’s been promising to record vocals for a while now and said he’d not done much before. In true style he over delivered. I got: multi part harmony in shifting major / minor key. I pretty much knew at that point I was going to end up writing this one up. Listening to the original I was imediately taken by how well written the track was, but picked up on a few things that I thought could be tweaked to better show off the song. The piano had a volume, dynamic and timing profile that did not sound like a live performance, also the piano sample used was not varied enough. The track was missing ambience, both in terms of the piano’s sustain and reverb. And finally, the focus on the vocal put it in an unflattering light which made any missenotes more obvious. The note lengths, along with the gradual increase in volume told me that this had been written from the piano roll. Nothing wrong with this, I often do that myself for synth parts, but on the piano that was this far forward in the mix it lacked the human touch. To address this I first split the track into two parts perhaps loosely approximating to a left and right hand and then went through each with a view to adding back some entropy. The issue with the note lengths is a common one, sustain (applied via the pedal) is not the same as holding notes longer. If you look inside a piano you can see how the sustain pedal lifts the dampers from ALL the strings, so even those not struck resonate with the force of neighbouring hammers. It’s a subtle but magical thing which is reproduced well by modern electronic pianos and VSTis if only you send them the right midi information (sustain = cc#64). To bring back the sustain I wired each midi at a time through my nord stage and then overdubbed just the sustain pedal played manually without quantization. Whilst this actually simulates two performances left then right, it added to the ambience and helped with the humanization. The results sounded better to me so I kept them, but the intro still sounded like it needed something. So I played it all the old fashioned way. To the finished recorded and combined piano part, I added +2db of high shelf EQ to make it brighter, a compressor (TDR Kotelnikov) and a couple of reverbs – one Convolution based for the Early reflections and one algorithmic for the nice cleaner more constant tail. Unusually for me, I didn’t put a high pass EQ on it, my reasoning being that there was no bass or kick drum for it to muddle with. There were 5 vocal tracks. I pulled each of these up in Melodyne studio and tweaked accordingly. Combine the two tracks to a third and then put a reverb on the top. This did not work at all well for the multi part harmonies. I stepped back and tried something new. I saturated each track a little bit then combined and saturated a little bit more before EQing (high pass plus a -6db notch at 390Hz). At this point I recalled an audio demo for Voxengo Soniformer which made a barbershop quartet sound like it was performing inside your head. It was a great sound. I wanted that sound. So I set about working out how exactly they had done this. Unfortunately I wasn’t able to find the example again, but from some trial and error I finally got a good result putting Soniformer after a reverb. Now the harmonies sounding great, but unfortunately the first verse and chorus now sounded weak next to them. I set about ‘doubling’ the first verse by mixing in a couple of copies panned (hard left, hard right), delayed by different amounts (11ms, 13ms respectively) and then pitch shifted (+5 cents, -5 cents, respectively). I then tucked that back in behind the original at about -9dB in the first chorus (from 0030s until the 2 part harmony started). Subtle but worth it. From here I added a bit more EQ and reverb for the piano (Valhalla DSP’s excellent Vintageverb) . An overall feed forward compressor (TDR Kotelnikov) and a multiband compressor (IL Maximus) with fairly sparse settings just to get the volume and to bring out some of the highs. People often ask me how I go about producing a track. The truth is that there is no one formula or rigid process, however in order to capture those things that have worked for me I’m going to commit to writing a couple of logs of the process that has worked with me and Lloyd Jenkins, one of the customers of Enginehouse Studios. Lloyd has very kindly given me permission to share the details of one of his tracks including part-finished sketches. In this post I’ll show you where I start and what decisions we made on one particular track – Primaluce. The big thing in what we do here is collaboration, by bringing new ears and performers into the picture, you get fresh ideas and energy. The above is exactly what he sent me with a tad of compression just so the volume fits with the other items on this page. This is where the collaboration began. On hearing this track I knew I wanted to work on it. I also knew it had to be gentle so I sat in the studio that evening and experimented with a few motifs. The Verse ideas didn’t really work, but there were a few notes in the chorus that really resonated with both Lloyd and myself. 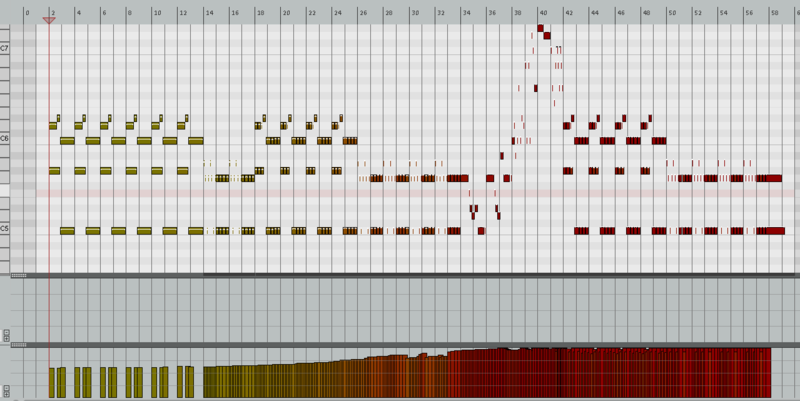 We eventually ended up reducing the chorus motif to its essence and adding it back to the intro. When we both had an available day, Lloyd came to the studio to record the main guitar parts. These would serve as the scaffold for the track and I could add ideas to them to see if they worked or not. We also decided to gradually step the tempo up through each section of the song. This was really the only way to make that beautiful subtle intro work with the Hey Jude-esque ending that the track pushed toward. For the most part we double tracked the guitars and used the inbuilt mic as this gives a quite respectable, bright sound. The intro however required a more authentic personality so I combined the built in mic with an LDC set to cardioid pointing at the fretboard more than anything else. These were each panned a little left and right respectively. Finally a bit of reverb and EQ (including a fairly pronounced notch around 1Khz to allow room for other sounds). By the time I’d added a simple (mostly block chords) piano line and some drums (via the excellent Neumann DrumMic’a library), we had a nicely recorded version of the initial demo that Lloyd had recorded on his phone. At this stage we knew the track still needed a bump to make it memorable. Listening back to other ideas, Lloyd felt that the tune in the chorus improv could be key to this. The next step is for the vocalist. If you fancy a shot at it, let me know and I’ll send you a guide vocal.